It didn’t take long for all of the fighters at UFC on FOX 27 to finish up at the early weigh-ins on Friday morning in Charlotte. 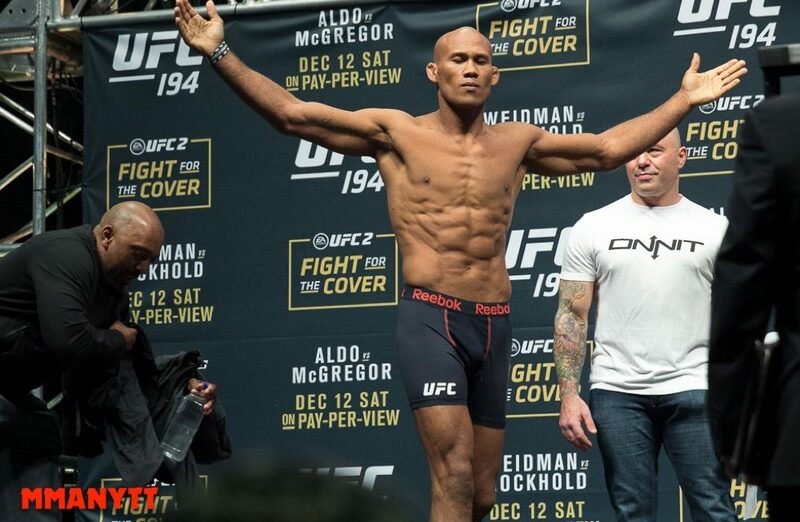 With a two hour window to make weight, everybody on the card needed just about 40 minutes to complete the weigh-ins including the main event fight between local favorite Derek Brunson and veteran middleweight contender Ronaldo “Jacare” Souza. Souza came in at 186 pounds while Brunson was at 185 pounds as he looks to avenge his prior loss to the Brazilian from their first meeting back in 2012. In the co-main event, featherweights Dennis Bermudez and Andre Fili will meet in what should be an exciting bout as both fighters attempt to establish themselves in a very deep 145-pound division. Here are the full weigh-in results for UFC on FOX 27 from Charlotte, N.C.